Down & Out Books, 9781943402168, 332pp. Two hours out of prison and already someone is shooting at Dana Oldham. Dana has traded the stain of "convict" for the freedom of "wrongly convicted." But before he can get home, his car is shot up and the shooters demand the return of $50,000 Dana swiped from a gun runner. To punctuate their demand, they shoot his niece. But Dana hasn't stolen anything, and as the amount of stolen money rises, so does the violence directed against him. 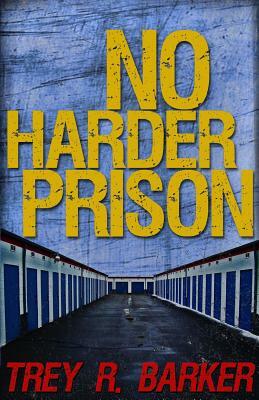 No Harder Prison is crime novelist Trey R. Barker's first stand-alone effort, a deeply ambitious book written on a canvas as large as the city in which it's set: Denver. It unfolds with the cast of characters his readers expect, but with a depth and breadth that might pleasantly surprise longtime fans of the Barefield or Jace Salome novels.